Selling your home is a major undertaking. Hudson and his team have the knowledge and expertise to make the selling process as seamless as possible, from start to finish. More is required to win in today’s real estate market. With people making real estate decisions at a stop light, in a waiting room or at their child’s soccer game you need to do more than the traditional sales methods. Find more buyers and make more money. By understanding the strong points of your property, engaging the audience and maximizing your reach, you can greatly increase your outcome. We have a proven methodology to find more buyers, sell your home faster, and make you more money. Period. Call Hudson at 519-821-3600 for a no-obligation conversation or schedule an appointment by clicking the button below. No matter how experienced you are, moving is never easy. We understand that making a new start is hard on you and your family. That’s why we work to make the logistics come together as seamlessly as possible. Downsizing is an overwhelming time for most. It’s saying goodbye to the family home; so knowing your options, getting the most value from your property and making a move that fits your lifestyle is key. We help you find balance in a home that will fit your new lifestyle perfectly. Moving up the property ladder is an exciting time. There are plenty of reasons to upgrade your home. We will help you check all the boxes on your to-do list so you can move into your dream home quickly and smoothly. Real estate is one of the most important investments you can make; there’s a lot to think about when buying or selling a home. That’s why you need an expert on your side who over delivers. Hudson and his team take a personal yet professional approach to each sale, ensuring clients are always comfortable during the process. With your objectives in mind, Hudson and his team provide a realistic measure of your property’s value, as well as expert advice to boost your home’s saleability. 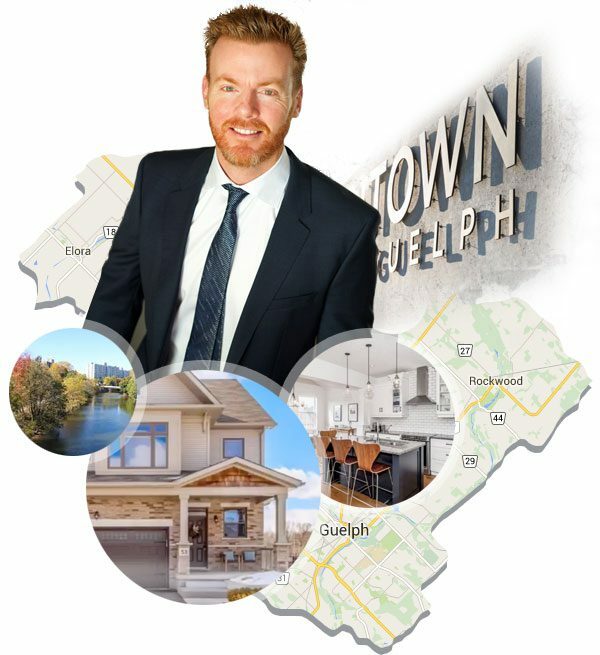 Living in Guelph for over 30 years, Hudson has worked in the local real estate market for more than a decade. His experience, knowledge and dedication greatly increase your outcome when selling your home. Experience the difference of the Hudson Smith Real Estate Group. Hudson and his team bring a wide array of skills to the table including superior home marketing, exceptional negotiating skills and extreme dedication. We are committed to our clients and passionate about helping you obtain your real estate goals. Put us to work for you!